So, some years ago, I took this photograph with a crappy little Canon point & shoot (which is coincidentally, still the camera I use now). 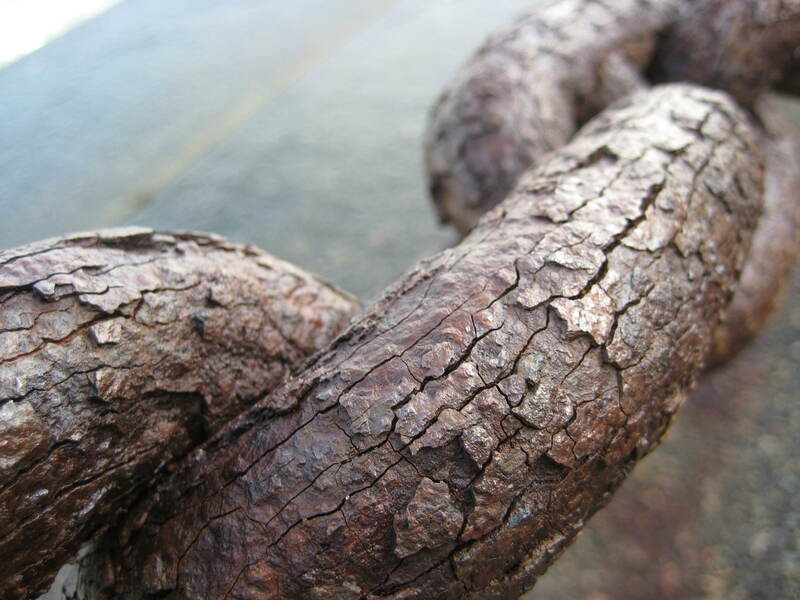 I noticed a cool texture on a rusty chain by the Golden Gate Bridge and decided to shoot a macro of it. Uploaded it to Wikipedia and didn’t realize how cool it was until it was shortly thereafter made a featured picture for being one of the best on the site. It made the front page today, which is pretty exciting. Proud of the detail and color in this picture. and that’s what it looks like, from yours truly. That looks absolutely wonderful. I can’t decide if I like it better because it reminds me of my childhood playing in mud when it rained then seeing my foot prints hardened and cracked in it the next day or brownies. Either way: I want brownies now. haha, thanks! And now I’m in the mood for brownies :P.